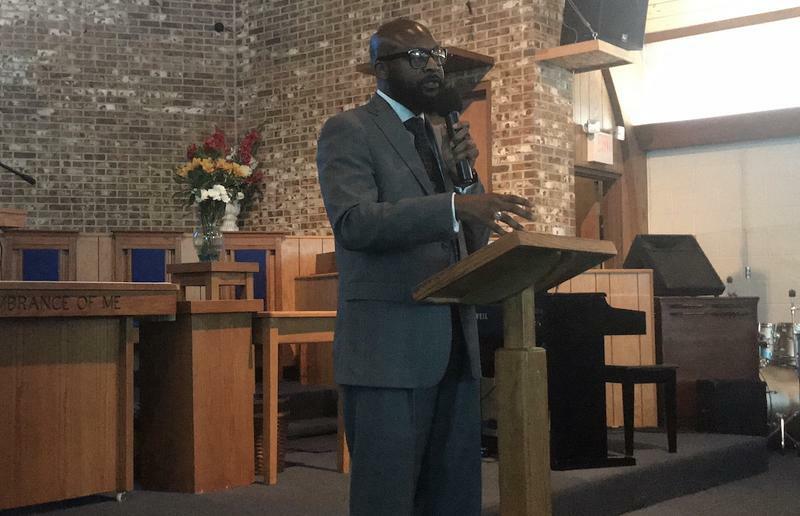 The Tennessee Bureau of Investigation is still conducting a probe into the officer-involved fatal shooting of Daniel Hambrick in Nashville last month. The officer could face sanctions from the state as well as within the department — or no penalty at all. 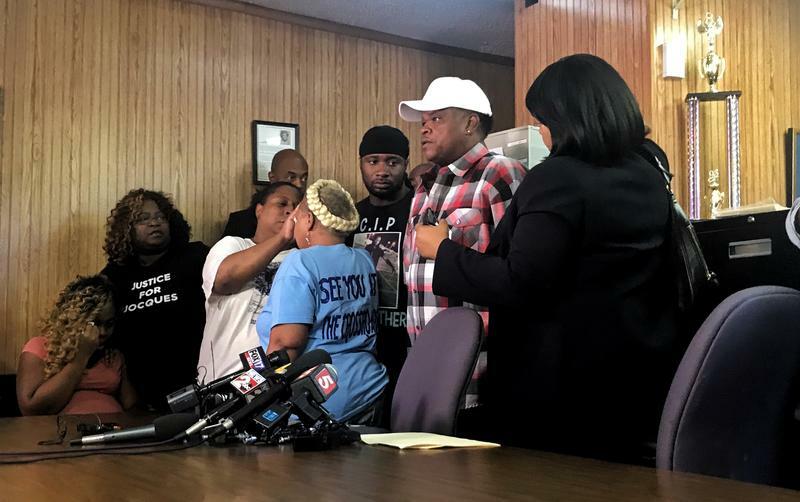 The fatal shooting of Daniel Hambrick last month as he ran from a Nashville police officer has reanimated questions about Metro Police’s policy governing the use of deadly force, particularly in cases when an officer is chasing after a suspect. Metro Police Chief Steve Anderson says he's asked the department's training academy to review the protocols for foot pursuits, following the killing of Hambrick and last year's fatal shooting of Jocques Clemmons by another Nashville police officer. Both men were fleeing when they were shot, and in both instances, police claimed they'd been carrying a gun. 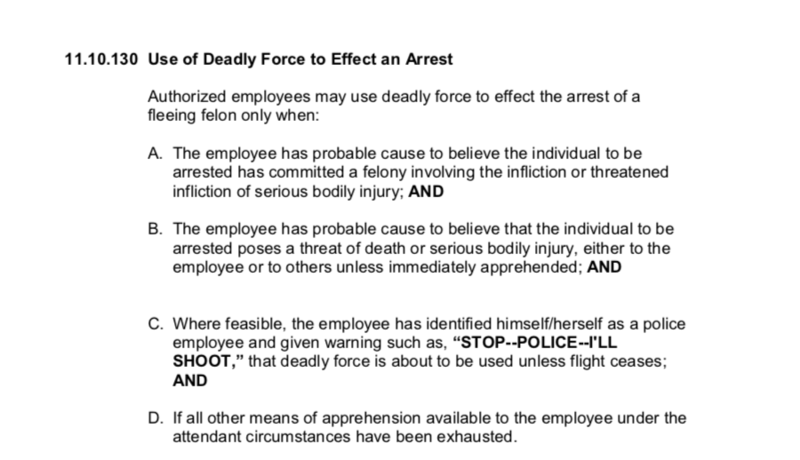 The guidance that Nashville police currently receive about whether to use deadly force during foot pursuits can be scant. While there are a number of mentions of fleeing suspects in the 1,100 page handbook, there are more detailed sections on the handling of car chases and the use of Tasers. “That’s not uncommon,” says William Terrill from Arizona State University, who was part of a research team that conducted one of the most comprehensive national studies on use of force policy. Police are governed by two sets of rules when it comes to use of force. The first is what's legally required. The second is departmental policy. While law and policy can be different, a policy cannot allow an action that violates the law. “Shooting a suspect in the back is not warranted and it is unreasonable, and the Supreme Court has said that,” says Terrill. There has to be probable cause of a felony involving serious bodily injury. There has to be a belief that the suspect continues to pose a threat. The officer has to identify himself and give warning. And all other options of stopping them must have been exhausted. Whether Andrew Delke had just cause on all four guidelines when he shot Daniel Hambrick in the back is unclear. It's also not certain that Hambrick would have even been considered a fleeing felon. Footage does not show the Metro officer initiating a traffic stop on Hambrick. Instead, video shows that Hambrick had emerged from a vehicle and was walking through a parking lot of the John Henry Hale Apartments before Delke arrived on the scene and that Hambrick took off as soon as he spotted Delke. The TBI has said that the officer saw the car Hambrick was in driving erratically earlier in the day, but authorities have stopped short of calling the incident a traffic stop. The specifics of the situation could be important in deciding whether Delke was acting within department policy or took actions that he shouldn't have. Delke could have more discretion to use force if he can prove that he had reason to believe, based on Hambrick's actions, that his life was in danger at the moment, says Terrill. Terrill says that sort of caveat is not unusual. Protocol is often written in a way that allows for a wide degree of discretion because it’s impossible to predict every situation officers might find themselves in. But, he says, it's important for departments to provide enough guidance that officers clearly know what the rules are so they aren't left to their own devices to determine the appropriate amount of force. And police officers tend to agree. His research has found that most welcome clear guidelines, and with more rules in place, officers use less deadly force. Nashville Mayor David Briley’s response to the shooting of Daniel Hambrick and Wednesday's release of videos that show him fleeing police drew criticisms from several groups, including those who are pushing for a ballot measure to create a community oversight board that would review such incidents. 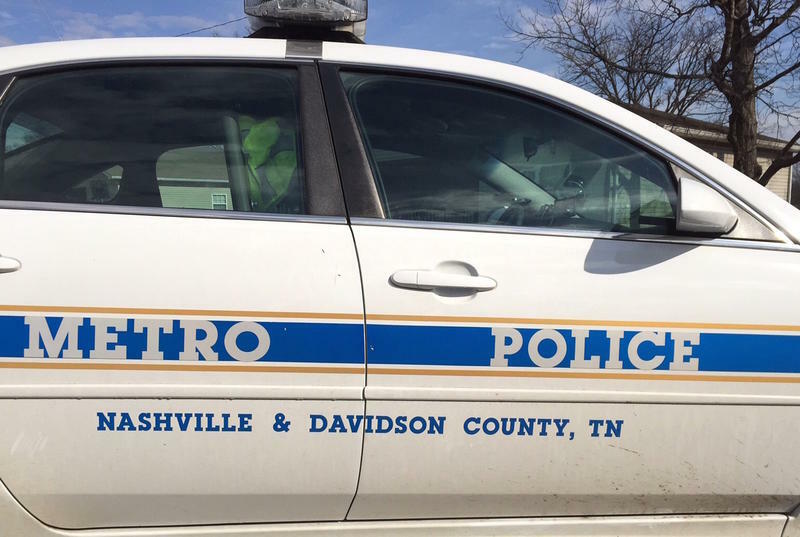 Some Metro council members and community organizers are also questioning the leadership of the Metro Nashville Police Department. 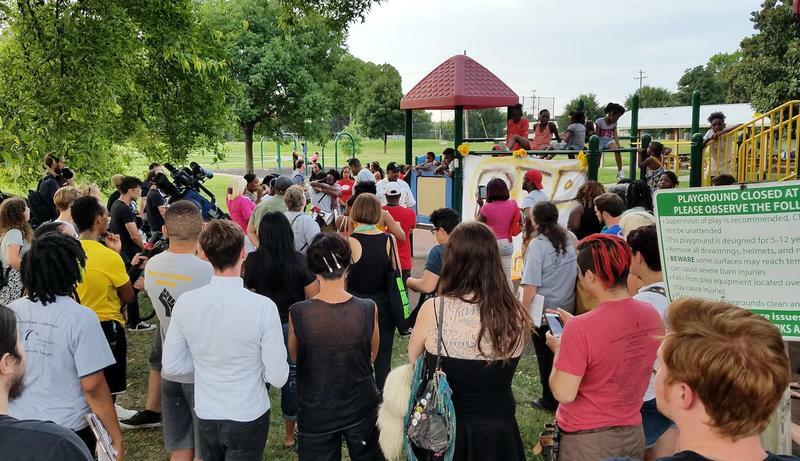 In the aftermath of last week's shooting of Daniel Hambrick by a Nashville police officer, a petition to establish independent civilian oversight of the police is closer than ever to being on the ballot this November. Organizers need about 6,000 signatures by Thursday to qualify, and they say they've seen more interest because of last week's shooting. Hours after new surveillance footage was released showing Officer Andrew Delke shooting Daniel Hambrick in the back, Hambrick's mother spoke out.